The Manchester City Women celebrate after beating Birmingham City Ladies in the FA Cup final. Almost five years on from netting a double in the London 2012 Olympics final at Wembley, where the United States were 2-1 winners over Japan, Lloyd was back at the stadium on Manchester City duty. And the reigning FIFA world player of the year headed home the third goal in a rout of Birmingham, who were 3-0 behind at half-time and by then chasing a lost cause. Manchester City Women are the reigning Women's Super League champions, the WSL Continental Tyres Cup holders, and now, for the first time, FA Cup winners. 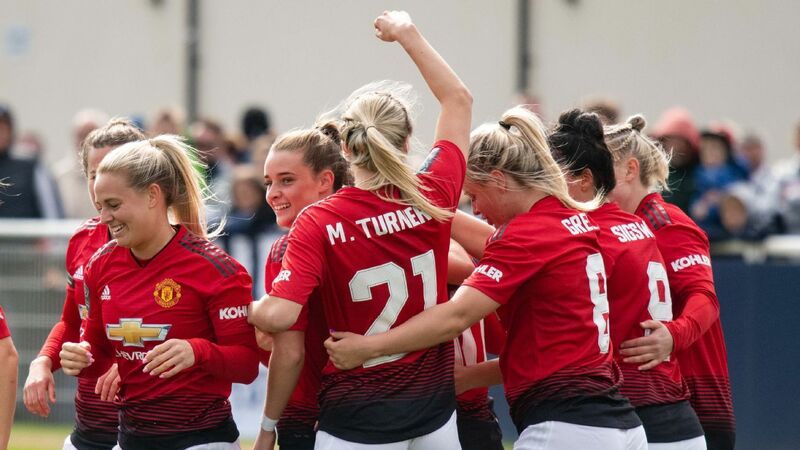 Their goals came from Lucy Bronze, who was outstanding at right-back, young midfielder Izzy Christiansen, Lloyd and Jill Scott, with the reply from Birmingham coming from Charlie Wellings. 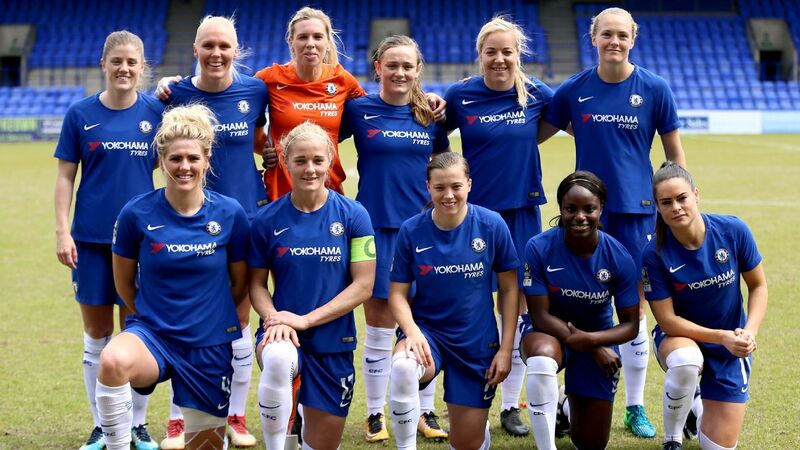 The showpiece of the women's season was played in front of a crowd of 35,271 spectators, a record attendance for the final, as the dominant team in English women's football got their hands on more silverware. Their celebrations were fittingly joyous at the final whistle. Nikita Parris and Megan Campbell threatened early on as Nick Cushing's side applied immediate pressure on Birmingham, and the opening goal that had been coming arrived in the 18th minute. ESPN's Sam Borden sits down with Carli Lloyd to discuss life at Man City, the 2026 World Cup bid and more. Bronze got it, diving in boldly to head home Campbell's inswinging free kick, which was delivered with pace to the edge of the 6-yard box from just inside the right touchline. The England full-back was also at the heart of the second Manchester City goal, in the 25th minute, breaking up a Birmingham attack and making ground down the right with the poise of a winger, before her cross found Christiansen, who rifled home a powerful half-volley. Lloyd was being overshadowed, a rare occurrence on the big stage, but that did not last long. She almost teed up a third goal for Melissa Lawley on the half-hour. Lawley, tearing in from the left, was denied by a fine stop from Ann-Katrin Berger. And then Lloyd had her moment in the 32nd minute, rising above teammate and captain Steph Houghton at the far post to head in another Campbell cross, this one from the left and curling away from Berger's reach -- just perfect for the American who connected well and sprinted away in delight. Her three-month stint with City is almost up, but this match provided the 34-year-old with memories to last a lifetime. Parris threatened after the break when a winding run from the winger finished in a shot that was blocked behind for a corner. Berger then did well to deny Parris, who threatened again to pile on the pain for Birmingham. At the other end, Ellen White belatedly tested Karen Bardsley in the Manchester City goal, but the striker's 25-yard shot lacked the zip required. Houghton sent a free kick high over the bar and a header well wide, before Birmingham grabbed a 73rd-minute lifeline when substitute Wellings unleashed a powerful left-footed strike that darted out of Bardsley's reach. The three-goal margin was soon restored, though, Scott driving into the top left corner from 15 yards. There could have been more goals in the closing stages, but Manchester City had already done more than enough.